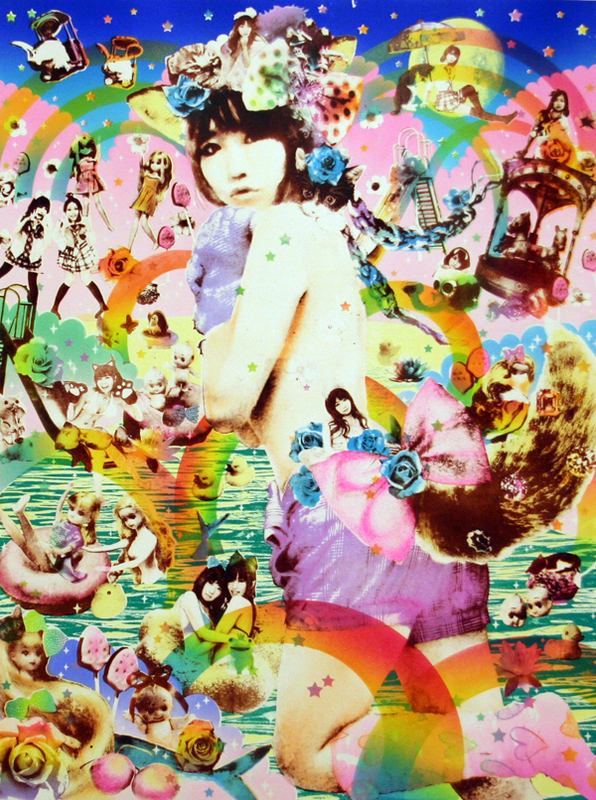 Top　»　Exhibitions　»　Mako Watanabe "Kirameki"
Bambinart Gallery is pleased to announce the latest works by Watanabe Mako. The show, entitled "Kirameki", runs from December 16th to December 25th and materializes a world of cuteness through the artist's latest prints. Born in Tokyo, Watanabe Mako (also known as Makopuri) studied printing in graduate school at Tokyo Art University. 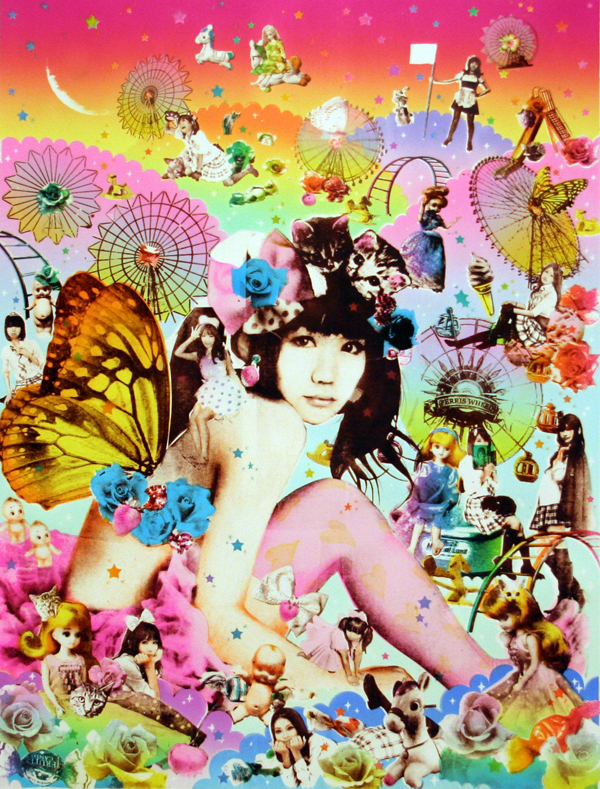 Her works arecharacterized by girly essences such as glitter, pink, and the image of princesses. Recently, she also performs as a "live idol", a genre of underground idol units that targets otaku audiences in Akihabara. As it is easier to become a live idol than a professional celebrity, a great number of unique and creative idols perform on stage, less as a source of income but more as a form of self-expression. Watanabe is part of the girl's unit "Fruit Punch" and performs under the name Strawberry. In addition to this exhibition, an installation by Watanabe and her team "Team Makopuri" is also displayed at Tokyo Wondersite Hongo as part of Makoto Aida's exhibition "Be It Art or Not Art". Team Makopuri is a girl's art unit organized by Watanabe and her friends. Girls from various backgrounds come together and collaborate under a mutual respect for cute(kawaii)-ness. Watanae was raised a girly girl as a child, wearing cute clothes and making cute gestures to make grownups smile. For her, to be cute is not a way of realizing commercialized female gender; rather, she sees cuteness as an evolved form of feminism, a representation of freedom. My works are fragments of the world inside my head. A dream world that expands to eternity. Cute things don't last forever.